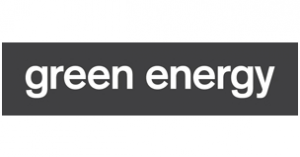 Green Energy UK unbiased review: How do they compare? Green Energy UK doesn’t claim to want to be one of the biggest energy suppliers; they want you to have a choice to move to 100% renewable energy. See the tables below for the Sparkling and Tide tariffs and costs. These are just estimates, so for an accurate quote you need to request one from Green Energy UK, they will consider factors like your location, your energy usage and the size of your home. You can use this as a guide for comparing energy suppliers, however, but for more see the company comparison section. Green Energy has advice for electronic car users too. They say that electric cars have a timer that means you can set when your vehicle charges. With their tide tariff, this means that charging your car overnight would be a lot cheaper than loading it in the day. Many of these positive reviews state that the company has an excellent customer service team, who they say is helpful and polite. Excellent company. Good prices but most importantly my experience with customer service has been sublime. I needed a copy of my bill for a meeting, but they had the name listed incorrectly. After a 2 minute call, they have fixed the name and resent me the correct bill. Great experience. If you need anything from Green Energy UK, you are going to have to wait weeks/months/years/lifetimes for it to happen. Every email I have had from them I reply to within an hour, and then it takes at least three days before I hear anything back. With a high rating of 4-stars on Trustpilot plus 70% of those reviews are in the 5-star positive category, it seems like Green Energy UK has a very positive customer reputation. I have been really happy with every aspect of Green Energy. Easy and efficient online account management, reasonable price increases when measured against larger companies and 100% renewable energy. I moved into a new house, and the developer picked Green Energy UK. They are very expensive, and the staffs attitude shocking. I have tried to switch, and they putt in objections every time to make it as hard as they can to stop you switching.